Decades ago, a server plays a role of providing users file sharing and printing in a LAN environment. At that time, everyone was happy. As Internet started hooking up companies across the globe back in 90s, users gradually began to demand for services such as audio and video conferencing, fax service, calendar and address syncing, mail, website portal, video streaming and etc. For the past 30 years, Microsoft Windows Server has been evolving itself and enable IT administrators to easily deploy servers playing different roles described previously. For mail server, since Windows Server’s built-in SMTP server is missing POP3 or IMAP protocol after Windows Server 2003, it fails to provide a complete server-client mail server solution. Therefore, you need to purchase Microsoft Exchange Server or a third-party Windows Server-compatible mail server software. Microsoft Exchange Server – This Microsoft solution provides the best compatibility in joining Active-Directory scheme and work together with Windows Server to deliver domain users communication and collaboration features such as e-mail, calendar, contact, note, task synchronization and etc. However, TCO (total cost of ownership) is way too high for small and medium size business. Other than hardware cost, Exchange Server charges software cost of its own and there is also cost per mailbox account. Once installation and configuration consultant fee is paid, consultation and tech support are also inevitable if something is wrong in the future. Thus, normally company’s IT manager would hire an Exchange-certified engineer taking care of all the matter on a year-round basis. Only large corporation can afford high cost of the infrastructure deployment. Yet, licenses of all aspects must be renewed periodically. Third-party mail server – There are several software compnies providing Exchange Server alternatives to work with Windows Server. A vital part of “working with Windows Server” is the essence of syncing user accounts in Active Directory. It allows users to use the same username and password from their AD accounts to sign in e-mail services provided by those third-party solutions. These four mail server solutions below enable users to sign in with the same username and password on Windows Server. 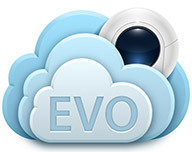 EVO Mail Server – USD $299 for perpetual license: unlimited user account. Axigen Mail Server – Starts at USD $543 for 10 users of Business Core Plan at first year. Annual subscription fee required. Kerio Connect – Starts at USD $465 for 5 users of basic license at first year. Annual subscription fee required. MDaemon Private Email Server – Starts at USD $359 for 5 users of basic license at first year. Annual subscription fee required. Cloud solution – If you prefer using cloud solutions, then try offers from either Google or Microsoft. Pricing and offered features are competitive from both brands. It depends on your preference that under which UI you like to work with. The cloud solution is perhaps more guaranteed to be 99.9% uptime than on-premises solution, which you need to be aware of server stability on your own liability. However, the downfall is perhaps the Snowden issue. This is why lots of European corporations would host their own servers rather than on the cloud. On TCO aspect, the more employees you have, the higher cost it is. Plus, both services are based on annual subscription and it means company owners need to pay for it every year. G Suite Basic (formerly Google Apps) – Starts at USD $50 for 1 user with annual commitment at first year. Annual subscription fee required. Microsoft Office 365 Business (Exchange Online) – Starts at USD $99 for 1 user with annual commitment at first year. Annual subscription fee required. Let’s pick EVO Mail Server to demonstrate how easy it is to setup a mail server under Windows Server with the lowest total cost of ownership (CTO). First of all, network environment, hardware and software need to be prepared before mail server deployment. Then, it only takes a few steps to have mail server up and running. I have written an article that covers all steps from scratch to the point where mails can be delivered inbound and outbound. The article URL is: http://blog.evomailserver.com/how-to-setup-mai…erver-in-windows/. Previous postHow to share Google Calendar? Next postHow to setup SMTP server in Windows 10, 7vor Windows Server 2016, 2012, 2008?